Princess Cut Studs - Simple yet classic, a must have for every wardrobe. 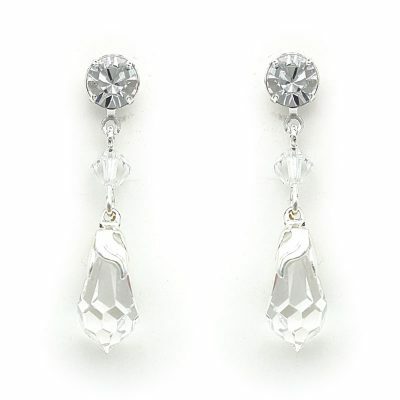 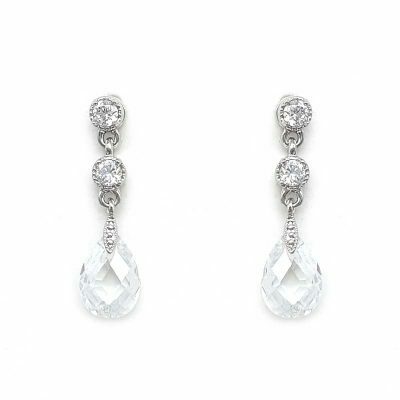 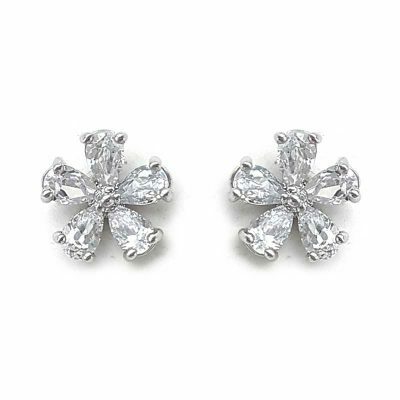 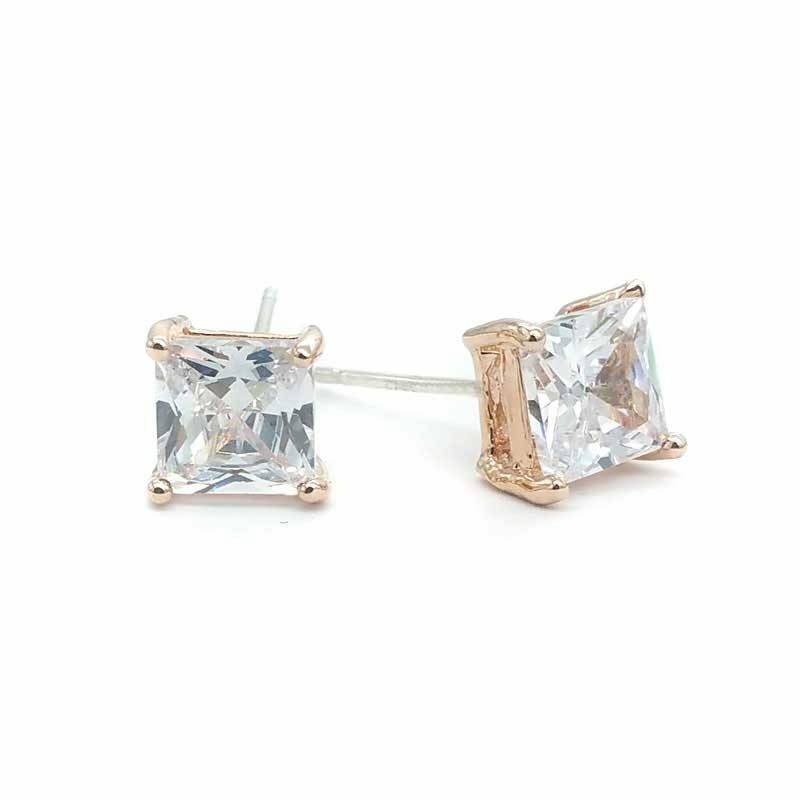 Beautiful princess cut cubic zirconia studs. 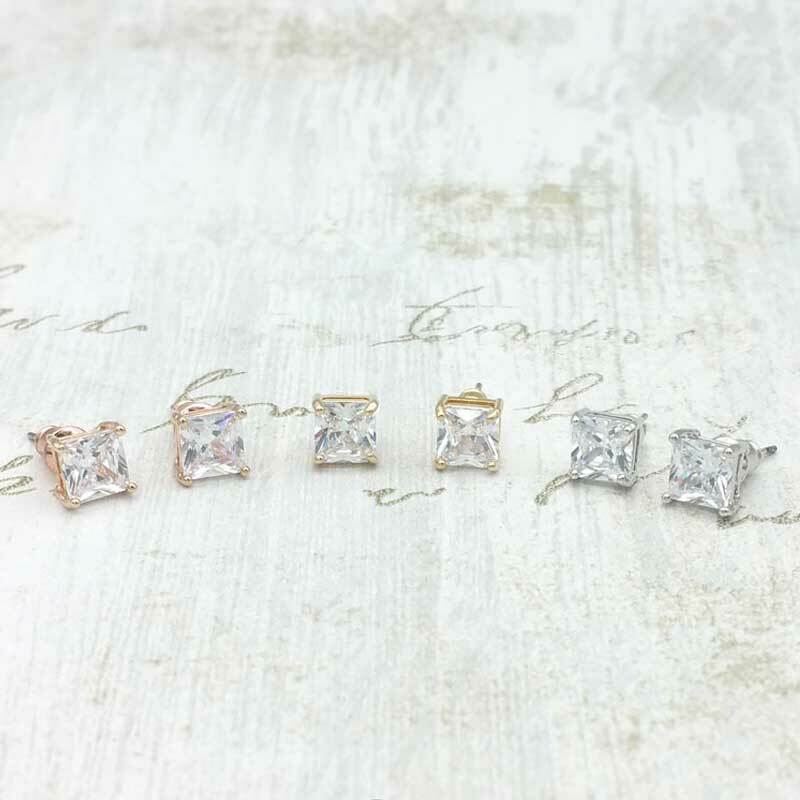 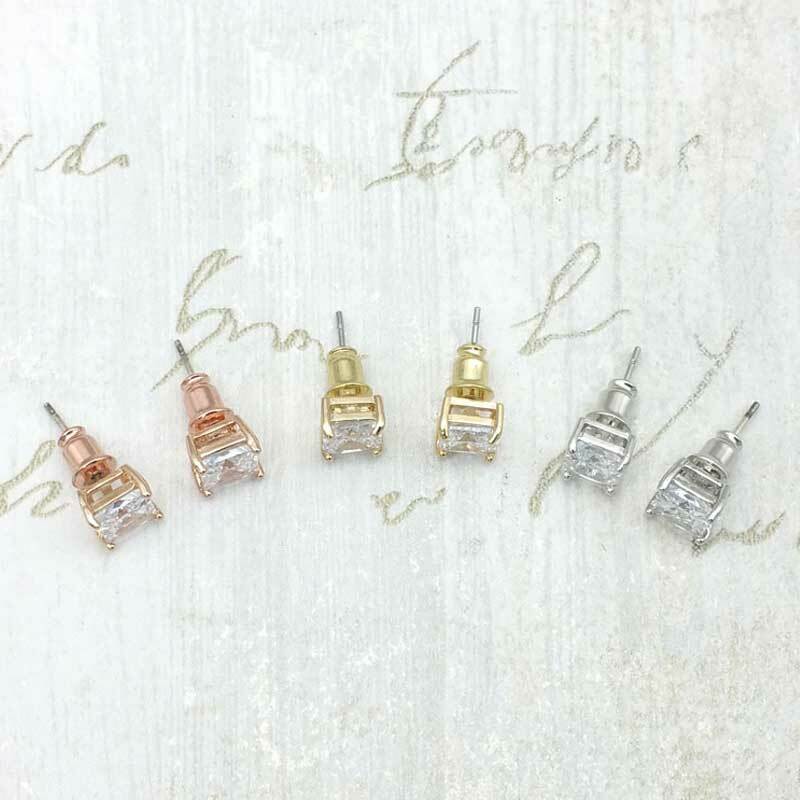 These studs are available in Rhodium silver, champagne gold and rose gold.